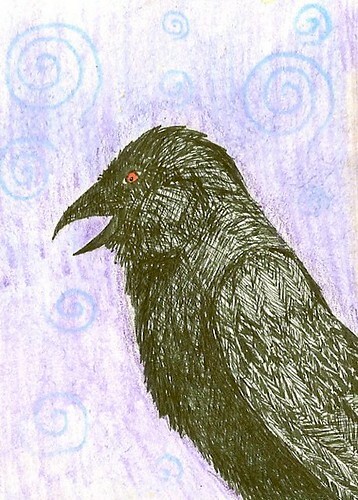 Vision of a Raven – Summer Solstice ATC sent to Traci, a photo by GreyCatsidhe on Flickr. This is the ATC I made Traci for our Summer Solstice swap. It’s made with ink and watercolor pencils. Now that I know she received it, I can share!